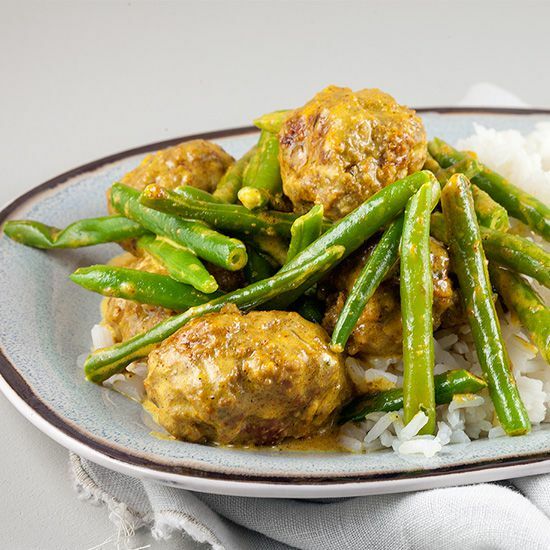 Every-day of the week recipe for delicious spiced meatballs with green beans and rice. 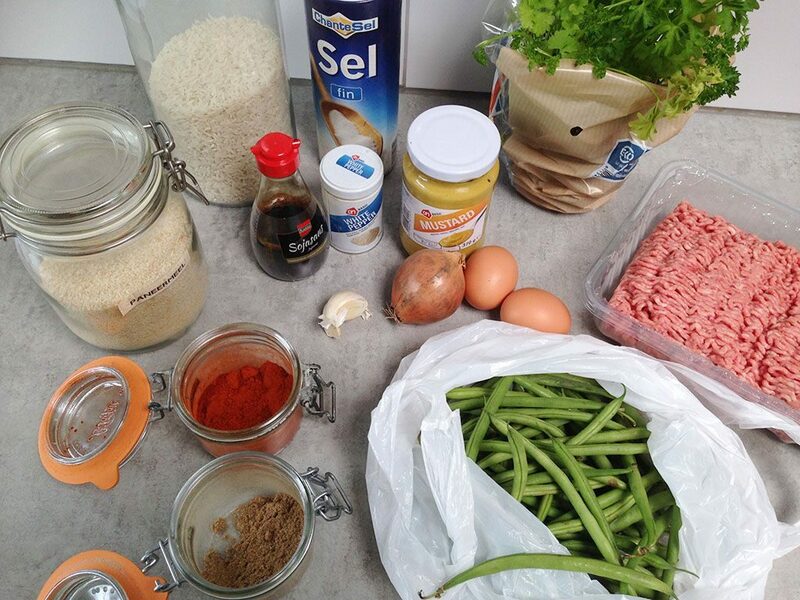 Recipe for 4 people, ready within 40 minutes. PEEL the onion and cloves of garlic, then finely chop. CHOP the parsley finely. MIX minced meat together with the onion, garlic, parsley, paprika powder, minced coriander, breadcrumbs, mustard, pepper and salt. 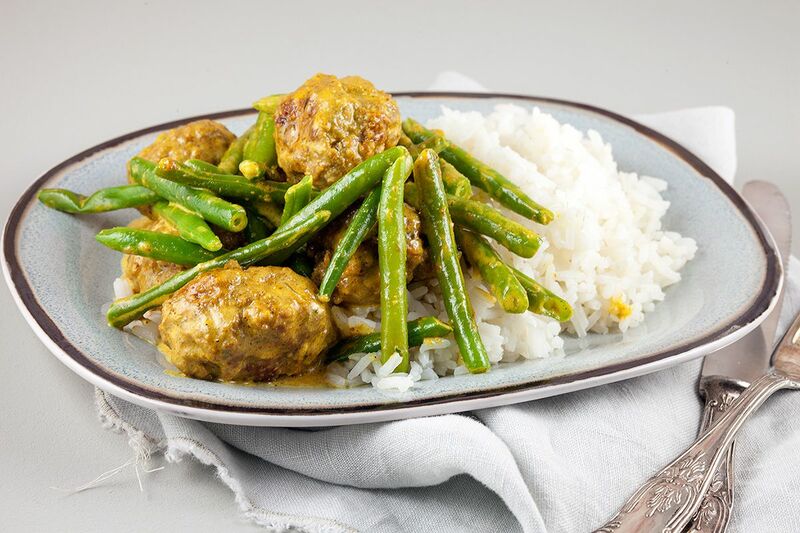 SHAPE into round meatballs. FILL the medium-sized pan with water and a pinch of salt, bring to a boil. MEANWHILE clean the green beans and cut them in halves. COOK the green beans for a few minutes in the boiling water until al dente. REMOVE them from the pan using a skimmer. BOIL the water again and cook the rice in it, according to the package. HEAT up olive oil in the large skillet and cook the meatballs until browned on each side. ADD curry powder and cook for a few minutes more. ADD the al dente green beans into the skillet and add in the heavy cream. 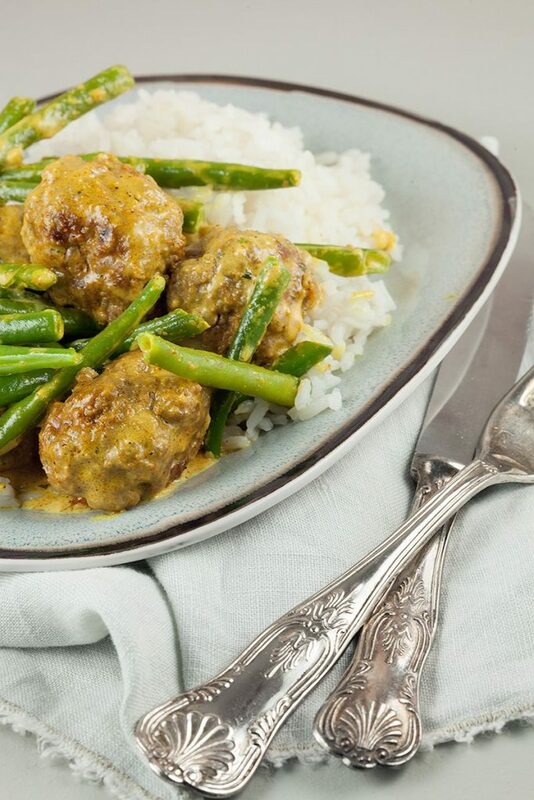 COOK until the cream has the desired thickness, and when the meatballs are fully cooked. DRAIN rice and season the sauce with salt and pepper. Enjoy your meal!